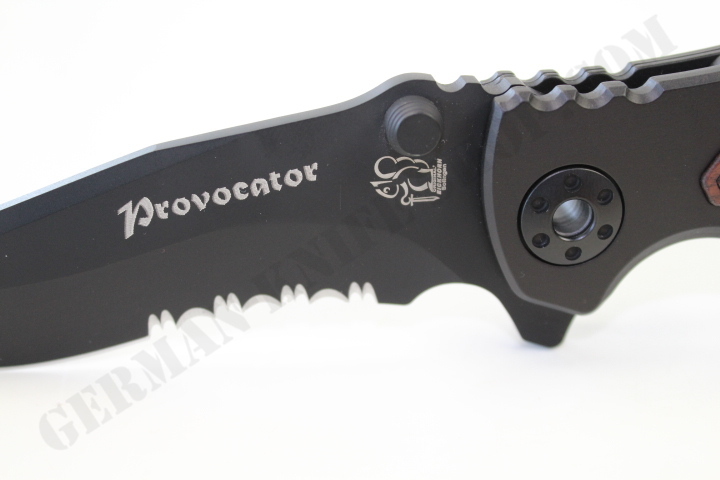 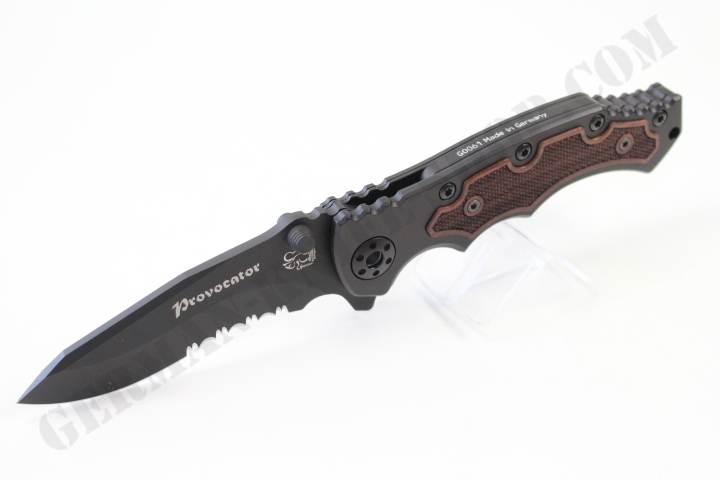 Provocator -Wood- half serrated blade. 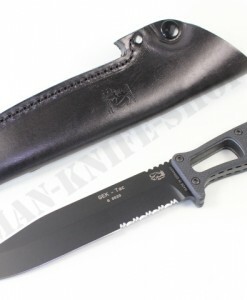 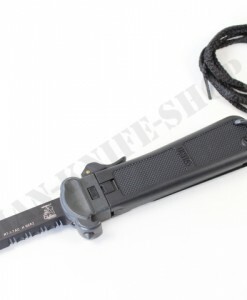 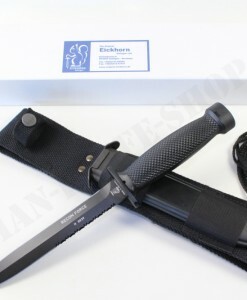 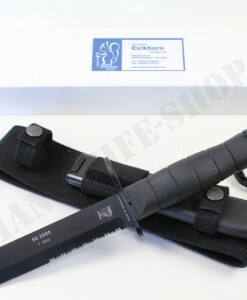 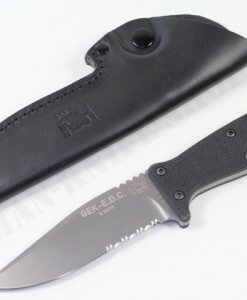 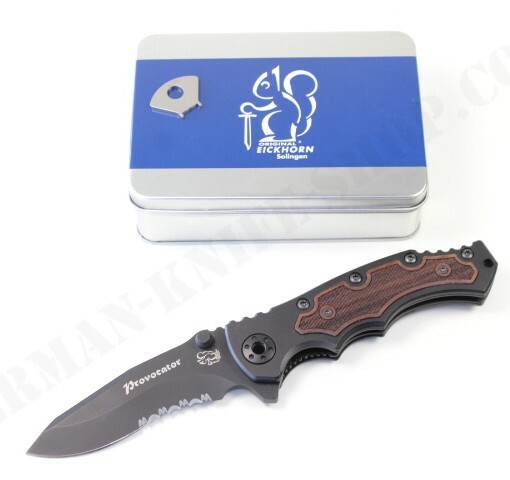 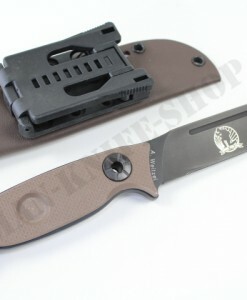 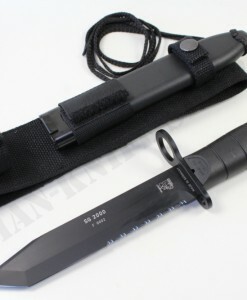 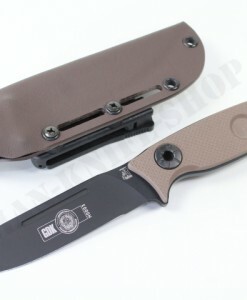 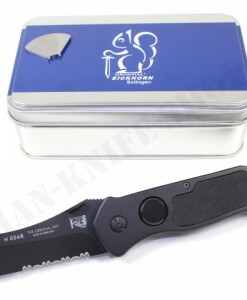 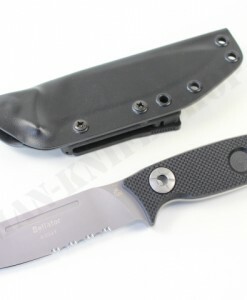 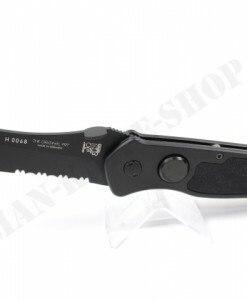 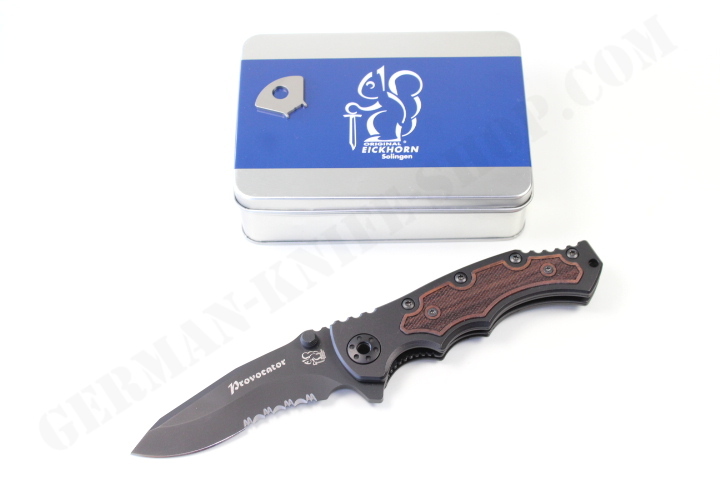 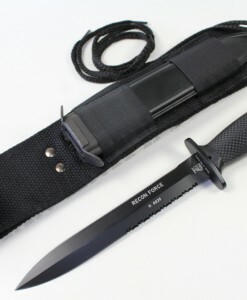 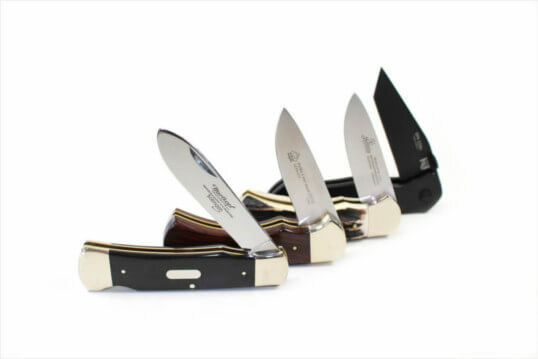 This is an operational folding-knife was developed that perfectly serves the particular job-profile of special task forces, but which is also ideally suited as a daily companion for civilian use. 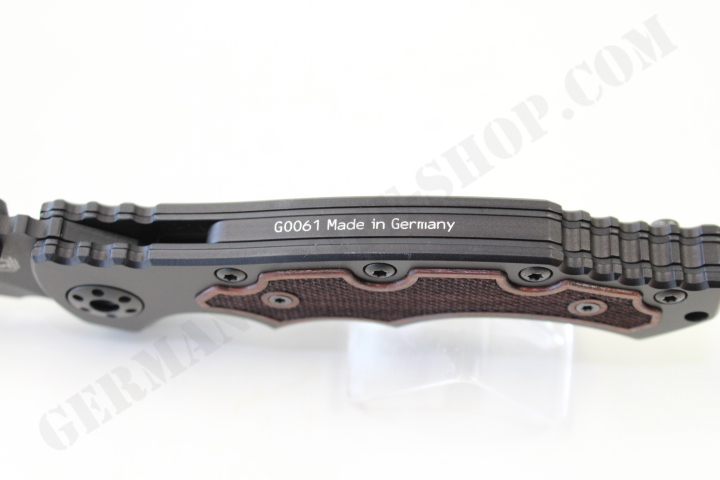 The shifted back-grinding lends the bulky re-curve-blade of stainless Boehler N695 steel (HRC 59) its special strength in the knife’s point. 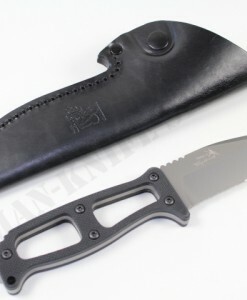 The handle is made of hard coat anodisied AImg 3, which has a beautiful Palisander wood inlet. 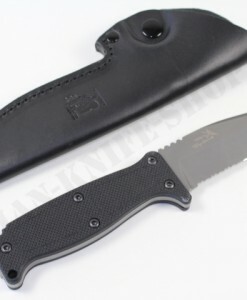 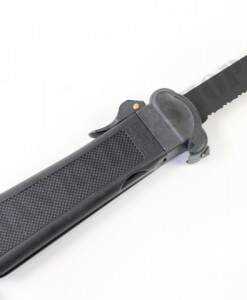 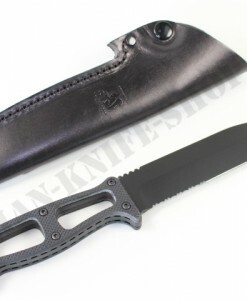 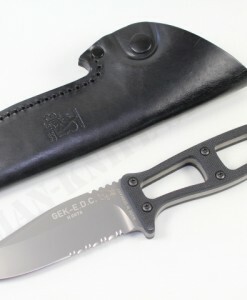 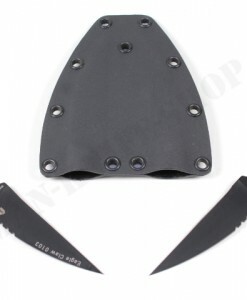 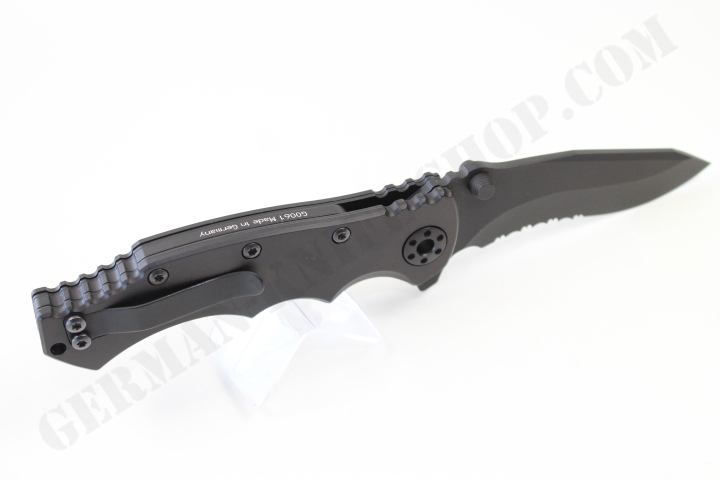 The half serrated black Kalgard coated blade looks awesome. 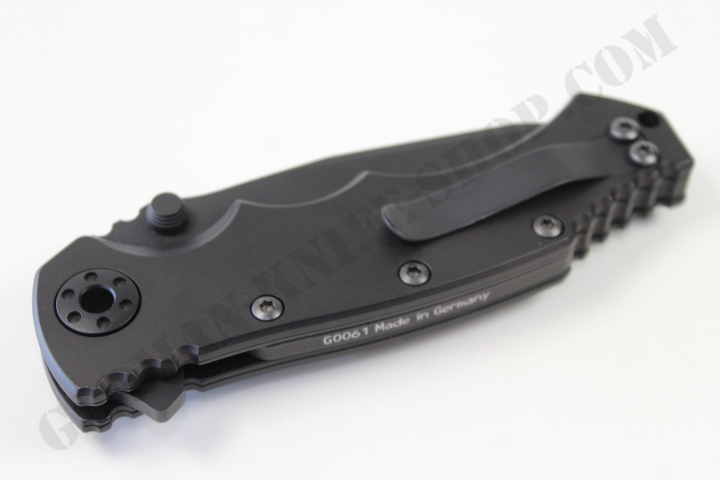 A decisive asset, especially in extreme situations. 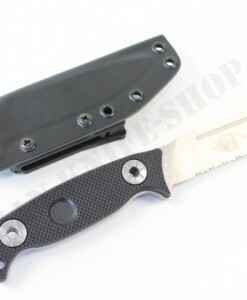 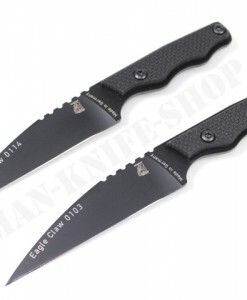 Two 1,5 mm liners made of tempered stainless steel as well as an aluminum spacer covering practically the entire length of the back of the grip to ensure that the knife will not yield even under high pressure. 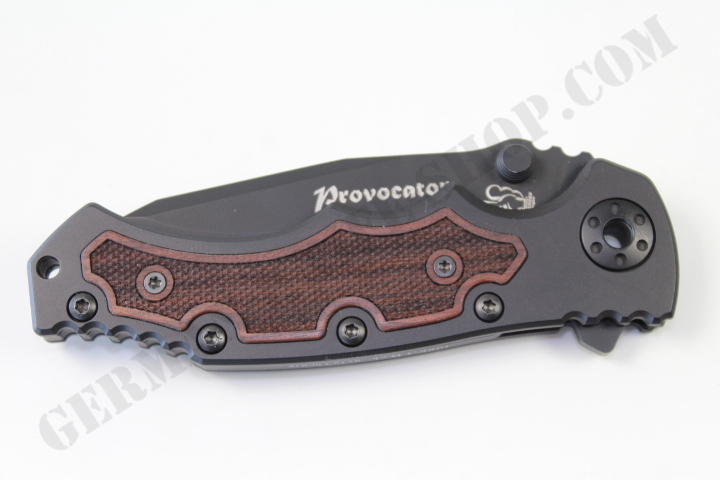 A belt clip secured with torque screws keeps the Provocator in the tip-up position, always at the ready.The serial number is always different.